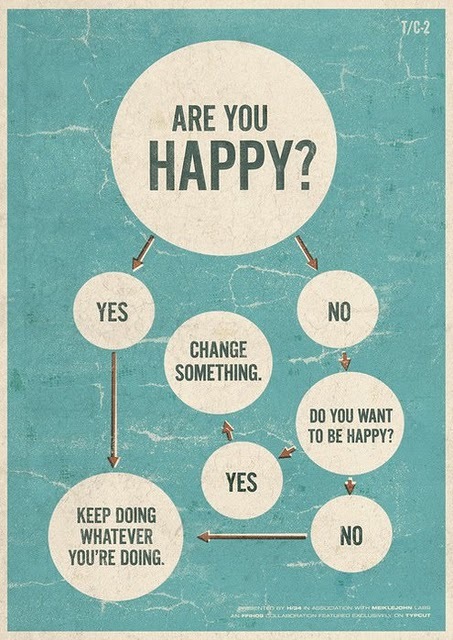 Happiness… it’s up to you. I am happy but tired. I still cant keep up with things. It makes me mad. Being happy does have a positive effect on people around you however and has positive physiological effects. I do understand that we cant be 100% happy all the time, but it does make a difference to your view of the world and how you live your life! I love this one too… So much so I’ve probably posted it as a blog before! I think that when people have chronic health problems, they could choose to strive for something else like fulfilment or finding an issue or hobby that they are passionate about. Happiness is rather difficult when you have serious chronic pain and some other chronic health issues. By the way – i think it’s not good to expect to be happy 100% of the time because then you aren’t pushing yourself for other things. If you did,, then you’d just coast along drinking and having fun all the time, which isn’t a very fulfilling life.